Fire alarms and mass notification systems are important to allow workers to evacuate safely during a fire. In complying with rules established by the U.S. Occupational Safety and Health Administration for the general industry, oil and gas companies should utilize fire prevention plans, which could include equipment and training for workers. Keep fire extinguishers close to areas where workers may be at risk for fire hazards, such as welding work stations. While companies believe they are ready for fires or other incidents, a thorough inspection and safety audit may reveal unknown vulnerabilities at worksites. Evaluate any particular areas and workers at higher risk for flash fires or explosions. For example, workers performing hot work, such as welding, may be exposed to combustible or flammable materials. Look for areas where fire protection equipment is either old or malfunctioning and replace them with ones that are in good, working condition. These can include sprinkler systems as well as fire extinguishers. 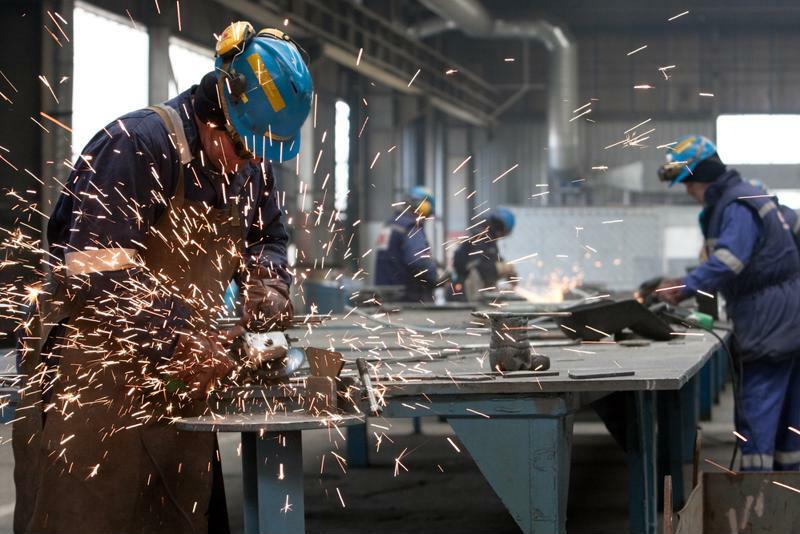 For welders and other workers at risk for similar hazards, supply their work stations and areas nearby with equipment such as fixed and portable fire extinguishers. Fire extinguishers need to be readily available for workers to use in an emergency and isolate the fire before it spreads to other parts of the worksite. In the event of a fire, workers need to be warned immediately so they can evacuate the building or work area safely. Implement emergency alarm and mass notification systems that will alert employees to the danger. Companies also have the option of using a mass notification system that messages employees on their mobile devices warning of emergencies. "Monitor the presence of these gases and vapors using combustible and toxic gas detection systems to avoid activities that may increase the chance of fire." With the risk of fires and explosions, there may be hazardous gases in the air that could endanger worker health and safety. Monitor the presence of these gases and vapors using combustible and toxic gas detection systems to avoid activities that may increase the chance of fire. OSHA recommends discontinuing work if the detectors find that a flammable or combustible gas surpasses 10 percent of the lower explosive level. Educate workers on what is considered an acceptable level of these gases to allow them to be proactive in knowing when to stop work when it becomes unsafe. To reinforce your plan, be sure to train workers to operate fire protection equipment, including fire extinguishers. Give them instructional materials for these tools as well as provide a demonstration if necessary. Additionally, plan a fire drill to remind employees about safety procedures and educate them on how to properly evacuate the workplace. Posting evacuation directions and ways to exit the building near work stations may also help with protecting workers from fire-related injuries and fatalities.